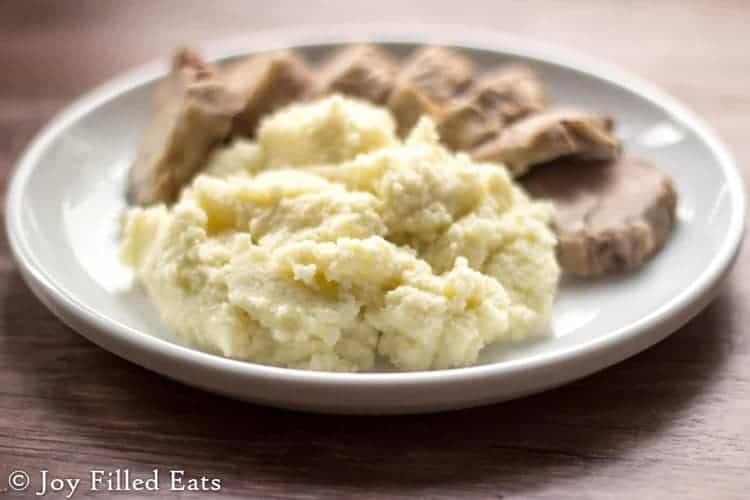 This is the Best Mashed Cauliflower without Dairy I have tried. If you are avoiding dairy or just looking to lighten up this keto side dish you must try this version. I have made mashed cauliflower at least a hundred times over the last ten years. 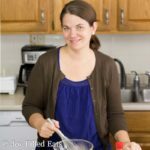 I started making it back when my husband and I did the South Beach Diet a year or two after getting married. We had each gained a few newlywed pounds and did the SBD together. Since then we have loved mashed cauliflower as an easy side. I don’t even miss mashed potatoes. Making dairy free mashed cauliflower was somewhat new. I have made it with ghee before but I don’t love the flavor. This version I loved. At the beginning of last week my scale was up a few pounds (too much cheating on my diet over the holiday weekend) and I decided to cut dairy for awhile to encourage it to move in the opposite direction. It’s working but dairy free for me is always a challenge. Figuring out how to make this mashed cauliflower creamy and rich without any dairy was a stroke of brilliance. Or divine inspiration. Probably divine inspiration since I’m semi-intelligent but definitely not brilliant. My college degree is in visual art and English and not rocket science after all. I wasn’t really planning on posting this recipe when I threw the ingredients into the food processor the other night but it came out so good I had to. But that is why there aren’t any action shots. I thought this was just a garnish next to my Lemon Pepper Pork Tenderloin. This has two secret ingredients. The first is butter flavored coconut oil. And the second is mayo. No, I’m not crazy. I use mayo is all my casseroles and it is so creamy I thought I’d throw in a tablespoon and see what happened. The best mashed cauliflower ever is what happened. This serves 2-3 people as a side dish. *** Nutiva makes Buttery Coconut Oil which is outstanding. Alternatively, You should be able to use regular coconut oil and add a few drops of dairy free butter extract or flavoring to taste. Could I use Ghee or Regular butter instead of the coconut oil? Is there typically any grittiness to this recipe or are they truly creamy? Do you know the nutritional info per serving, especially carbs for those on keto? It is truly creamy as long as you have a good food processor to break down the cauliflower. I just added a nutrition table. Enjoy! I have a a Ninja which should break it down I would think. Thank you for the nutritional info, but what quantity of serving is this based on? 1/2 cup or 3/4 cup or ? It is for half the recipe. I didn't measure my cups. At the top of the recipe card it shows there are 2 servings. It is a generous serving. My guess is 1.5 cups. does the cauliflour need to be FROZEN? No, you can use fresh steamed cauliflower instead. 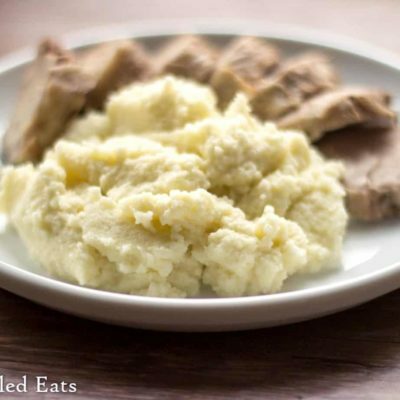 My mashed cauliflower always seems too thin or runny, yours looks like mashed potatoes. Any tips? Follow my recipe? 😉 I only add enough liquid to get it going in the food processor. This was yummy, really is the best cauliflower mash I've ever made/tried! I saw the buttery coconut oil pop in the stores and I was wondering if it was truly buttery. 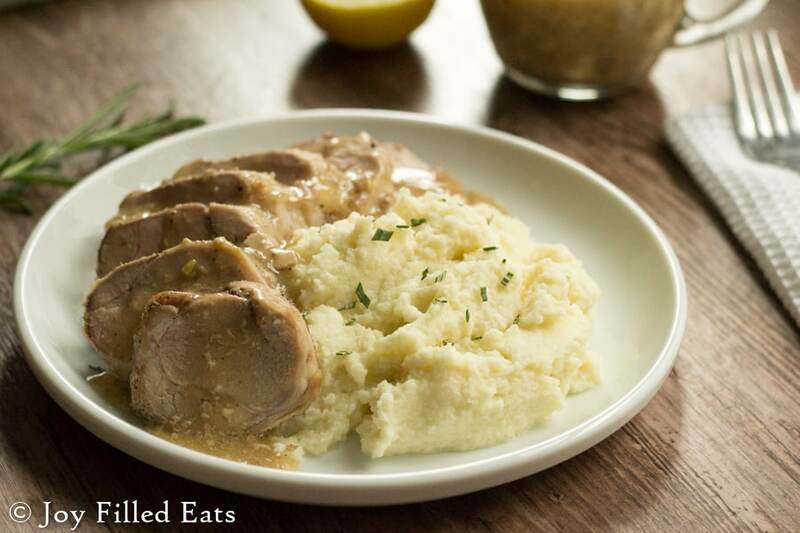 I'll definitely have to give it a try with this yummy mashed cauliflower!